Our multi-tasking foundation will brighten your day! Give your face a glamorous touch with our shimmering face fluid. What makes it unique? Its lightweight texture can be used in multiple ways. Whether as a fluid to brighten and hydrate, under your foundation to even out your skin for a long-lasting finish, or simply as a highlighter, you can wear it your way. Organic coconut oil: soothing properties. Organic licorice root extract: anti-irritation properties. Organic rayolis: addresses skin pigmentation. On previously cleansed and toned skin, use COCO PRIME over your moisturizer. Depending on the needs of your skin, it can be used in addition to or instead of your day cream. Apply the product evenly and admire the finish: a smooth and radiant sheen that catches the light. The fluid works to maintain hydration throughout the day. Use COCO PRIME as a base, before applying your foundation. Spread the product evenly over your face and neck on cleansed and hydrated skin. The fluid will smooth your skin for a for a more even and long-lasting foundation finish. 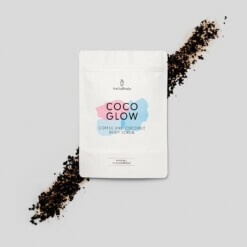 Use COCO PRIME as a highlighter over your makeup by tapping the product on the high planes of the face – along the tops of cheekbones, cupid’s bow and the ridge of the nose. Offering a long-lasting finish to makeup with a luminous sheen, your skin will love the light-catching beauty of this skin-loving product… and no need for touch-ups throughout the day. 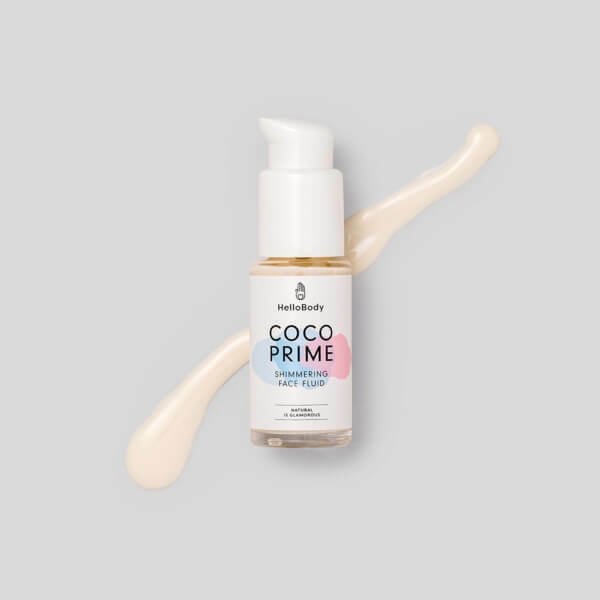 COCO PRIME is our first makeup-focused beauty product! 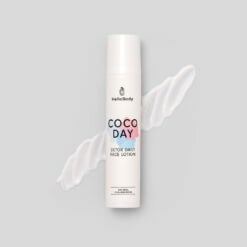 Composed of COCO DAY, which offers your skin intense hydration, strengthening its natural barrier against external aggressors, and COCO PRIME. The ideal morning routine for cleansed, toned and soothed skin. 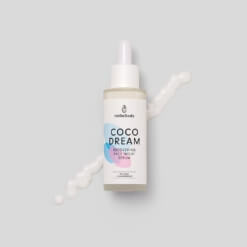 Composed of our COCO FRESH cleansing foam, our COCO CALM toner and COCO PRIME. The set that mattifies shine and makes your skin more glamorous than ever. Composed of our COCO WOW matte pink clay mask, COCO TREAT moisturizing sheet mask, COCO GOLD 24ct gold oil and COCO PRIME.